First Fuel presented on the topic of how the company uses meter data, mapping tools, weather data and occupancy data to model a commercial building’s energy performance as part of the Association of Energy Services Professionals (AESP) recent brown-bag continuous learning series. Venture-funded First Fuel provides energy auditing services to commercial building owners that is typically packaged and delivered through utility partners. More recently, it has expanded into energy efficiency services, also delivered through partnerships. 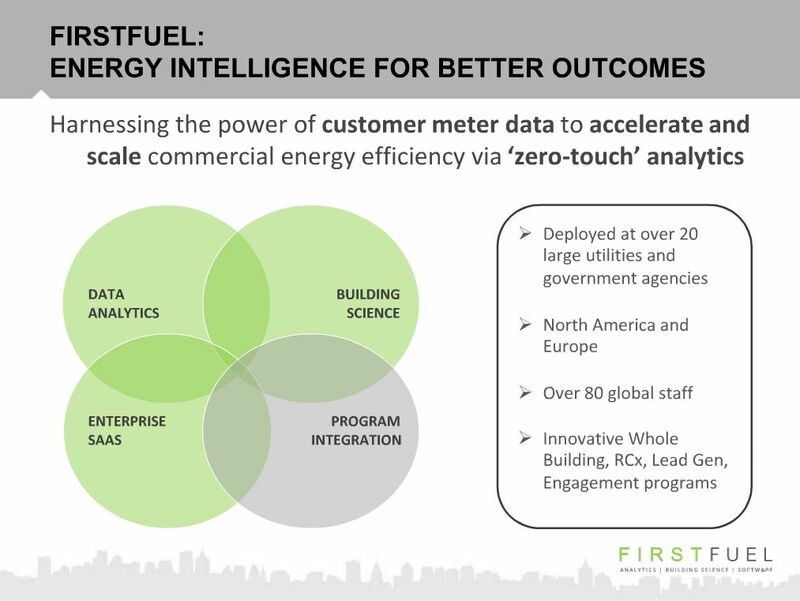 A PG&E speaker also at the event explained how the utility is using First Fuel’s cloud-based ‘zero touch’ energy assessment tools for customer engagement and motivation, as well as to enable performance tracking and regulatory measurement and verification. One PG&E Emerging Technology program offers commercial facilities of greater than 50kW in electric demand the opportunity to find energy savings opportunities using analytics software provided by First Fuel and C3. With the expectation of over 15% post-installation energy savings, participants are offered an upfront incentive and a performance incentive tied directly to achieved savings through implementing the retrofit, as well as operational and behavior efficiency measures suggested by these in-the-cloud tools.